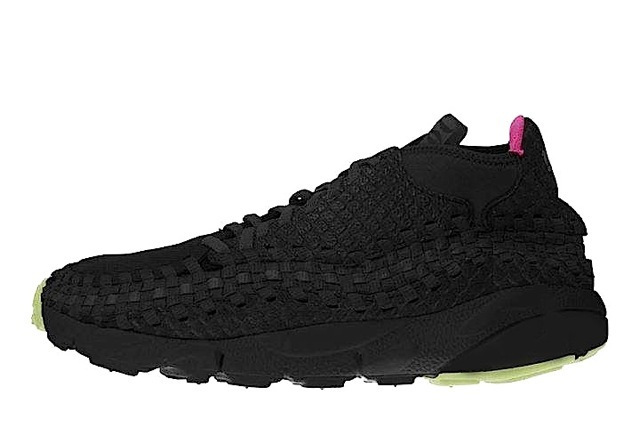 Nike Air Footscape Woven "Yeezy"
Where did Nike get the Black, Pink and Glow inspiration? All fingers point to the Nike Air Yeezy and ever since the Yeezy 2 release, we’ve been seeing several silhouettes featuring the colorway, that awakened the hype monster around the same time last year. This time around, Nike Sportswear gives the Nike Air Footscape Woven a “Yeezy” look with Black Woven uppers, Pink Liners and Glow in the Dark soles. Let us know if you’ll be picking these up when they release this Summer.